With access to customer feedback technology easier than ever to access and a call centres eternal love of all things data, the door is wide open to design your feedback program to the detriment of the customer’s experience. Evaluagent recently published a useful article on the top 5 things customers hate about contact centre surveys that act as a good reminder. Getting useful feedback from your customers is absolutely essential when you want to improve the performance of your agents. This is why call centre customer survey and insight solutions are so important to the overall customer experience. As customers, we find ourselves frequently inundated with surveys every week. And as a survey and insight expert, I am often compelled to complete surveys to help call centres to improve their operation. Unfortunately, the majority of contact centre surveys we receive contain several survey faux pas. After twenty years of capturing insight for some of the UKs most loved brands, I know that a poor survey always results in poor insight – adding very little value to any call centre improvement processes. 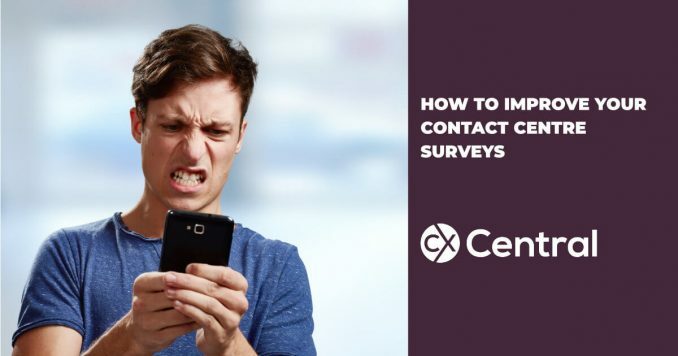 In order to really understand where call centre survey and insight initiatives are going awry, lets take a look at exactly which elements of surveys are causing customers unbridled frustration. Not being able to skip a particular question that might not be applicable is truly annoying. Forcing your customer to answer questions they may not want to, or cant answer is a surefire way to incite frustration. This demonstrates youd rather get no feedback at all than a survey with incomplete data  leading to reduced response rates, abandoned surveys and a disgruntled customer. Use a rather not say option, or reword questions to become more succinct to avoid this faux pas. It’s not uncommon for companies to prompt customers to participate in a web survey via email, but quite astoundingly, more than a few of these surveys will ask the customer for their email address. This is problematic for the customer as they can clearly see little logic or rationality in the process, which is more than likely interpreted as a flagrant disregard for their time, and a lack of efficiency on your part. Make sure youre not asking for information that you can automatically pull from your systems with the right call centre survey and insight solution. Keeping it simple is a great way to maximise response rates. This kind of question can lead to frustration if customers feel there is no opportunity to provide detail which they consider to be important. This approach also provides little true insight, as it doesnt reveal exactly which element of the interaction being surveyed was enjoyable or not. Instead, try to provide the customer with a range of responses where possible. One seemingly sound rationale might be that open questions create rich and qualitative responses. However, customers feel they shouldnt be tasked with having to dig deep and craft meaningful answers for you  you should be eliciting them. Make sure your questions are specific enough to require answers that aren’t too taxing to answer. It’s understandable to want to get the most out of each survey your customers agree to complete, but many call centres put their customer experience in jeopardy by creating a survey that is too long. A drearily long survey encourages the customer to sprint through responses and get it over with as quickly as possible. Limit your surveys to no more than ten questions, even less. If you need help in improving your surveys, or finding technology solutions for Voice of the Customer programs visit our Business Directory.